Tonight I have rocked. With The 69 Eyes. My favorite Rock band of them all. Finally they got the concert that they and we deserved here in Gothenburg. They rocked like they never done before. Maybe the have found their live confidence. They gave me a real Fiero moment! 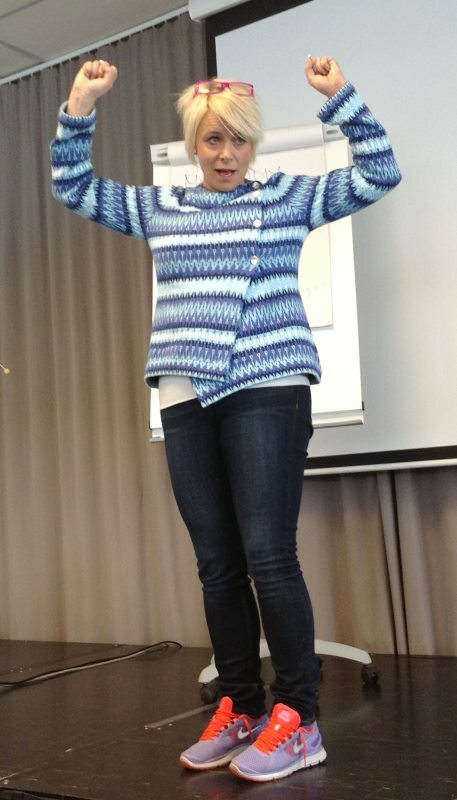 Earlier today Mia Törnblom gave a very inspiring speech about finding you own personal confidence and motivation. She says the same thing as Simon Sinek. You have to start with explaining what each and every person stand to gain by doing something. Start explaining WHY. Mia is also releasing a new book called “Du Säljer“ [You are Selling]. It almost the same as as the latest book from Daniel Pink, To Sell is Human. See my blog about Daniels talk here. You must also find your Inner strength. It is like an account that you deposit positive energy. Then when when the going gets though you can withdraw the same energy. But you can not overdraw your account because that is when you start hurting yourself. You must also have time for Reflection. Do a reflection journal each day before you sleep. It’s kind like the Grateful exercise that I mention before. Before the 69 Eyes concert, I organised a Tweepup. There a I had a very interesting conversation about life and The Future with Katarina “United States of” Tikka @ustikka. See you at WebCoast next weekend.